One of the most fiered welterweight in the world, Gennady Golovkin will take on Britsh boxer Martin Murray on February 21 in Monte Carlo, Monaco for the WBC Interim Welterweight belt. 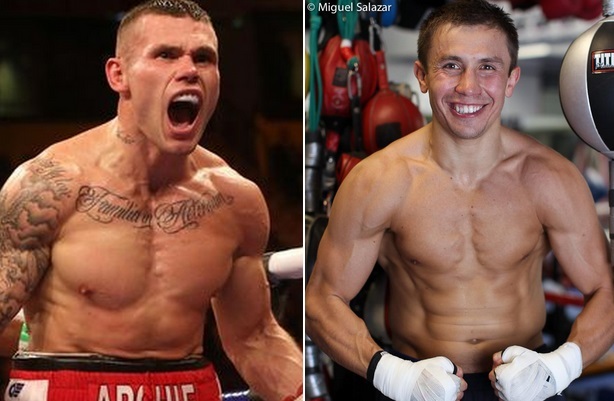 Both boxers will be doing a few promotional tours around europe and on 11 december their stop was in London, where Martin Murray meet Golovkin for the first time. Gennedy Golovkon of course has a superb unbeaten record so far with 28 knockout wins in the 31 fights making it 90% KO ration which kind of makes him the deadliest puncher in the game. Martin Murray on the other hand will be going into his 3rd world title fight and was quite confident that he will be able to do what 31 fighters before him failed to achieve and thats to beat Golovkin. Looking at the fight and the odds its obvious that Golovkin is a massive favourite heading into the fight and although he is from Kazakhistan, he has made Monte Carlo his home. Mostly he fights in this city and this fight will be a stepping stone to probably his biggest payday and fight later in 2015 which could be against either Miguel Cotto or Saul Alvarez. TV CHANNELS SHOWING THE GOLOVKIN-MURRAY SHOWDOWN ? In United States it will be HBO who will be broadcasting the fight as they have a contract with Golovkin promotions while “Channel 5” will be broadcasting the fight in United Kindon and ireland. There are other channels like SuperSports in african countries. But what if you dont have access to any of the channels above ? dont worry you can still catch the live action through online streaming sites for free. There are plenty of sites who provide free live streams to many big boxing fights and Golovkin Murray will surely get many streams. At totalsportek.com we will keep you updated leading to the fight on channels and how to watch the fight free online, so keep checking back for more information.